Learn how to monetize one of the largest affiliate networks in the world. In this interactive course you will learn to use RewardStyle’s tool like a pro. So make sure to bring your laptop! Tips for seeing results using RewardStyle tools. How to use LIKEtoKNOW.it to monetize your brand and blog. 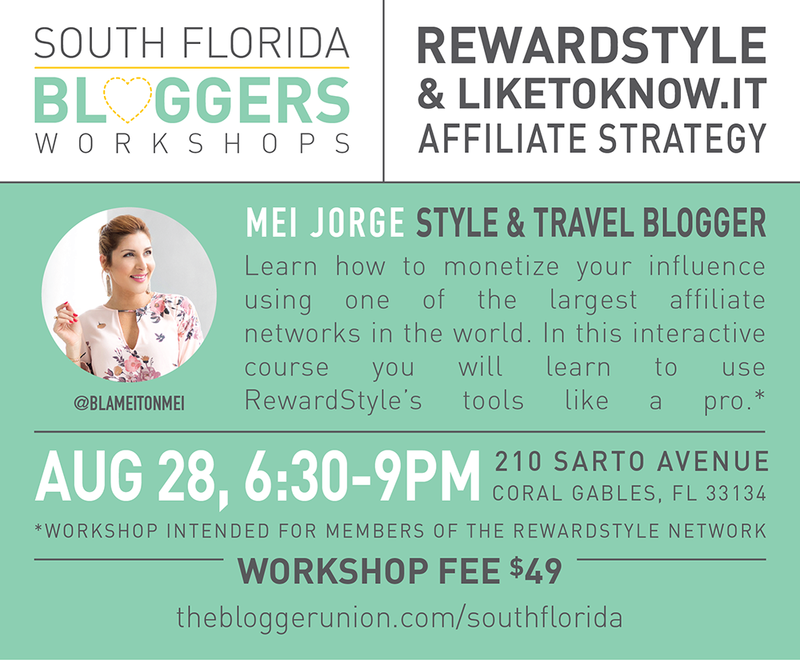 Bloggers/influencers who have been accepted to the RewardStyle affiliate program and want to figure out how to best monetize this network. 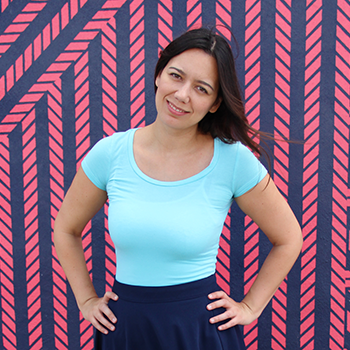 Mei Jorge is the driving force behind the fashion and travel blog, Blame it on Mei. Through her outfits and travel adventures she inspires women to dress and feel better about themselves no matter the price tag, age, lifestyle or even personal circumstances. Mei has worked with brands such as Madewell, Univision, Macy’s, ShopStyle, ViX Paula Hermanny and The Biltmore Hotel Coral Gables. More recently, she has partnered with Dove, Neutrogena, Kohl’s, Coach and Stella & Dot on several collaborations.